Floris White Bull couldn’t believe what she was hearing. On the same day the US government granted permission for the Dakota Access pipeline to drill under the Missouri river, a descendant of General George Armstrong Custer had arrived at Standing Rock. 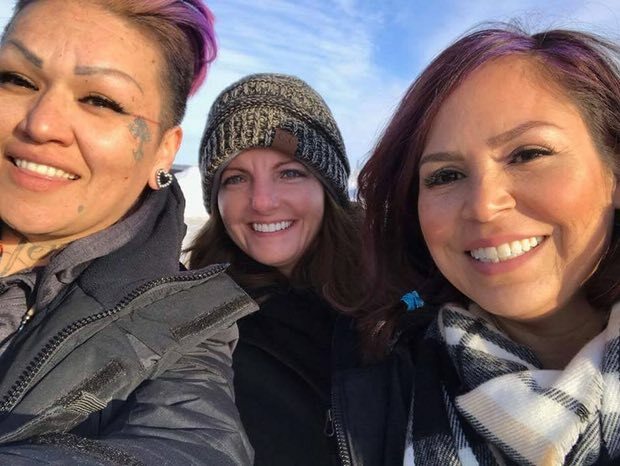 Alisha Custer – whose lineage traces back to the US army commander who led the 19th-century wars against Lakota Sioux and Cheyenne warriors – had traveled from Wichita, Kansas, to Cannon Ball, North Dakota, and was ready to speak to Standing Rock members. “My initial feeling was anger. I was like, how dare she?” recounted White Bull, 33, who is a descendant of Chief White Bull, the man who some believed to have killed Custer in the famous Battle of the Little Bighorn in 1876. 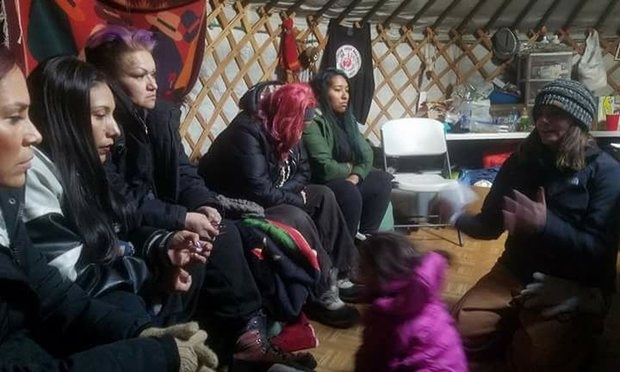 Gathered inside a yurt last Wednesday at Oceti Sakowin, the main camp of “water protectors” fighting the oil pipeline, Custer and her four-year-old daughter Akira met with a small group of indigenous people to offer something these Standing Rock members had never received before from the Custer family – an apology. The unlikely meeting 140 years after Little Bighorn came at a time of heightened tensions at Standing Rock. As one of his first acts as president, Donald Trump ordered the approval of pipeline construction across Lake Oahe, which the tribe says poses a grave threat to its water supply, is destroying sacred sites and is violating treaty rights. For some Standing Rock members, Custer’s visit served as a painful reminder that their historical traumas are closely linked to the present-day battles with the US government, which they say continues to trample on their rights and use force. On Saturday night at the home of Wasté Win Young, a 38-year-old Standing Rock member, a group of longtime friends who had sat face-to-face with Custer days earlier gathered for a pizza dinner and reflected on the unexpected and emotional meeting. 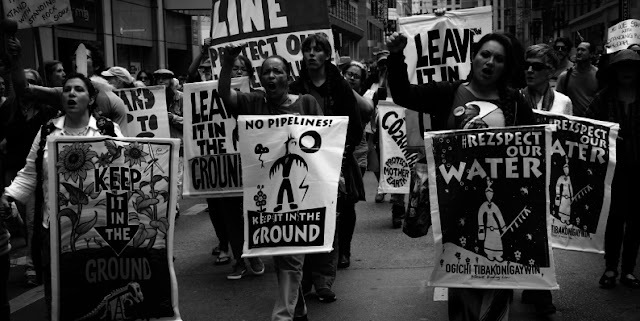 “Custer represents what America did to us,” said Young, who lives in Fort Yates, half an hour south of the anti-pipeline camps. Young broke down crying as she spoke of Little Bighorn, where one of her ancestors was a female warrior. 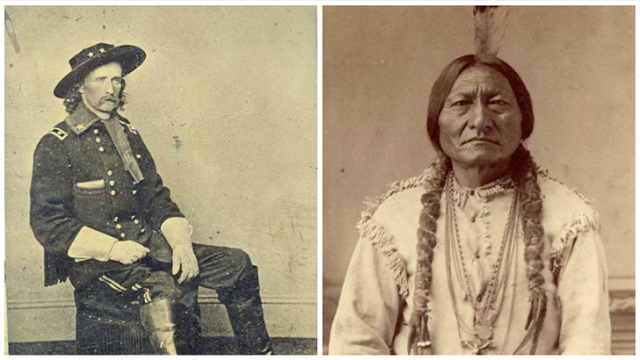 The event, also known as Custer’s Last Stand or the Battle of the Greasy Grass, was a victory for Native Americans. But the win was short-lived and was followed by further invasions, massacres and oppressive policies that have plagued indigenous people for generations. “It was a devastating blow for the US military, and we’ve been paying for it ever since,” Young said. 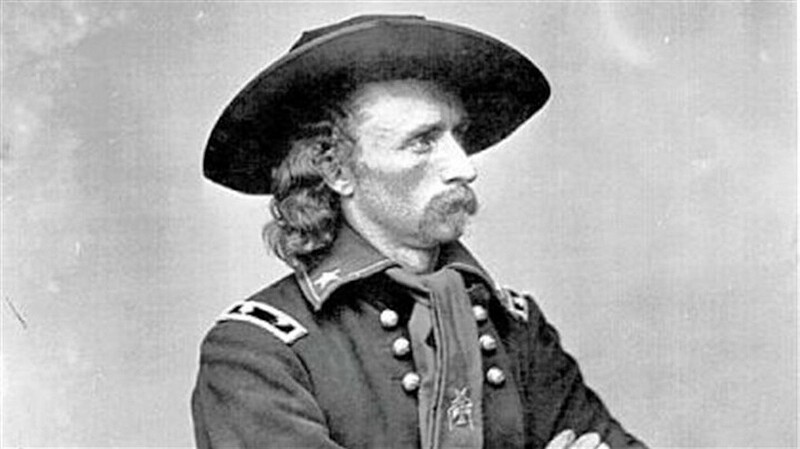 The women said they were ultimately moved by Custer’s words. Young said she recognized Custer and her daughter as “relatives” and said the meeting helped her understand how rare this kind of accountability is. In a recent interview, the Standing Rock Sioux tribal chairman, Dave Archambault II, said he has come to terms with the fact that US officials have refused to acknowledge America’s legacy of harm against indigenous people. Responses to "General Custer's relative visits Standing Rock, asks for forgiveness"